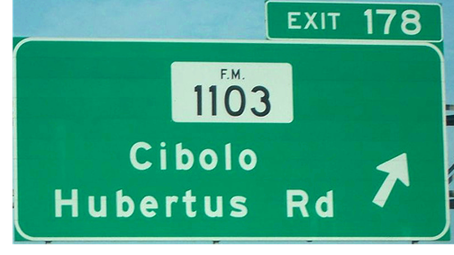 ​​ SCHERTZ – Construction on the $7.2 million expansion of the FM 1103/Hubertus Rd. bridge over I-35 began mid-August 2017 and should wrap up by spring 2019. The project will expand the existing two lane bridge to five lanes, plus turnarounds. The expansion should ease traffic over the busy bridge but in the meantime could mean a hefty detour for some drivers. According to TxDOT, the expansion was motivated by the incredible growth in Schertz and Cibilo, which has proven too much for the old bridge. The new bridge should position the intersection to meet the demands of the growing suburban communities.